My more regular listeners will know that every now and then I spell out the catalog of the Decca 7000 "Race" series. 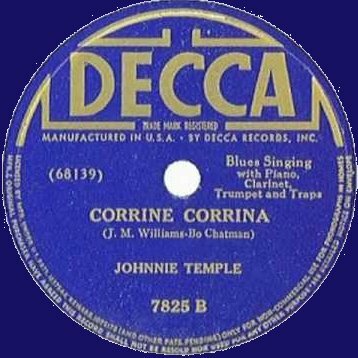 This series ran from 1934 to '42 and it showed off that Decca had become the leading label for African-American music. And while the music isn't that hard to find - most of it has been re-released - it's mainly forgotten and seldomly played on radio anymore. Of course that's the main reason for me to bring these blues in the spotlights.